A slew of apps can predict where on- and off-street spaces will be available, direct you to them, reserve a space and let you pay for the spot through your smartphone. And manufacturers are beginning to add those capabilities to their vehicles’ navigation screens. Parking apps track more than 57 million on- and off-street spaces in the United States and Europe, and the apps are used by 30 million people. One of the few things more frustrating than driving in a big congested city is searching for a parking spot so that you can stop driving. On-street spaces are reoccupied just moments after the last motorist pulled out, and garages charge more than many people earn in an hour. Technology has already started to solve the problem of squeezing into a space, with automatic parking features taking the pain out of parallel parking. Now it is trying to solve the other headache: finding a spot in the first place. A slew of apps can predict where on- and off-street spaces will be available, direct you to them, reserve a space and let you pay for the spot through your smartphone. And manufacturers are beginning to add those capabilities to their vehicles’ navigation screens. BMW, one of the first to do so, is making the functionality of the Parkmobile app available through the navigation system on many of its 2018 models. The BMW screen shows available garages, and its ParkNow service allows drivers to reserve a space and, if the garage has contracted for the service, pay through the car. Certain garages will allow drivers to scan the app’s bar code, using their phones, to open the gate. For those metered parking spaces that have sensors, the car’s navigation system asks if you want to start a parking session and then, once that’s confirmed, charges for the meter on the screen.Beginning next year, Parkmobile will also allow drivers to add additional meter time via the smartphone app and pinpoint available meters, said Jon Ziglar, Parkmobile’s chief executive. Most vehicles lack extensive integration with parking information, but drivers can easily replicate the functionality with one of the many smartphone apps on the market, including BestParking, Parker, ParkMe, ParkWhiz and SpotHero. Which one you choose may come down to the number of parking spaces that any particular app inventories in your city. “All these apps are pretty similar in features,” said Vishwas Shankar, research manager at the Frost & Sullivan consulting firm. According to Frost & Sullivan’s research, the various parking apps track more than 57 million on- and off-street spaces in the United States and Europe, and the apps are used by 30 million people. According to Inrix, a data collection firm that provides traffic data to the federal government and space information to a number of parking apps, American drivers waste 17 hours per year in a search for a space. Almost one-third of the drivers surveyed said they had been in a fight over a space in the previous year. Inrix and its competitors combine historical data and real-time information to predict how likely a driver will be to find a space in a garage, and which streets are more likely to have metered parking available during a particular time of day. What Inrix doesn’t do is let you know that a particular parking meter is available. The problem with such granular information is that it’s accurate only for a minute or two at best, before someone else grabs the spot. Inrix accumulates street parking data based on historical parking trends by day and time, cost and available hours. 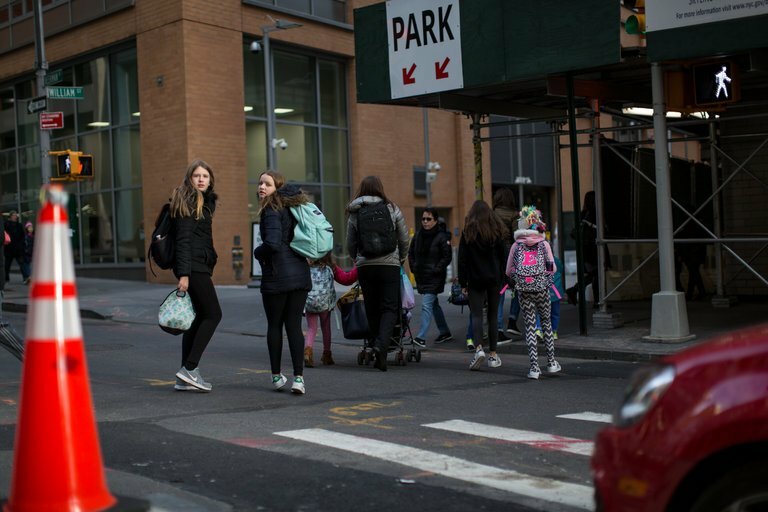 In addition, it is starting to receive information from cars that have ultrasonic sensors; as they pass an empty space, that information is relayed to the cloud and aggregated to generate parking patterns — which may already be known to residents in densely populated areas like Manhattan. 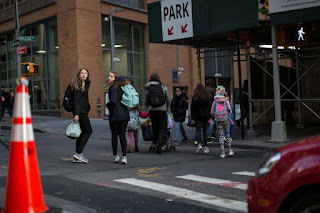 Waze, the crowdsourcing navigation app, uses Inrix and other data sources as it enters the “initial stages” of integrating parking information, said Fej Shmuelevitz, the company’s business development manager. The app can suggest available parking garages near a driver’s destination, with information that is updated based on user input. Waze is also looking to provide parking information that can be sorted based on price, with the ability to pay for parking through the app. Waze envisions street parking information that uses a vehicle’s sensors and cameras to find free spots. To find one’s way in a covered parking garage, Waze is contemplating offering garage owners Waze Beacons, technology that uses Bluetooth to transmit navigation information in areas without cellular coverage. HERE Technologies, a mapping and traffic data analytics service owned by Audi, BMW and Daimler, expects to release its parking data feature next year, said Helmuth Ritzer, the company’s vice president of connected vehicle services. “We’re looking at parking holistically,” Mr. Ritzer said. That includes integrating historic street parking availability, real-time information and data from a particular vehicle’s ultrasonic sensors as it drives by parking spaces. This information will be supplied to HERE’s app partners; used in its own map offering, available in Audi’s new flagship A8 sedan; and shared with other Audi owners. An improved parking experience is important not just to drivers but to municipalities as well, as one way to reduce gridlock and pollution. Los Angeles instituted its LA Express Park service several years ago, combining inroad parking meter sensors with smartphone apps that allow drivers to find empty spaces that might otherwise go underused. Using $15 million in federal grant funding and $3.5 million from the city, Los Angeles placed roadway meter sensors in a 4.5-square-mile area of downtown. Drivers can use one of three commercial parking apps to learn where on-street or municipal garage spaces are available. Pricing is dynamic and ranges from 50 cents to $6 per hour, based on demand. The project has been successful enough that the city recently expanded its availability to the Westwood area, home of the University of California, Los Angeles, and will add the tourist-heavy Hollywood area in six months. Making it easier to find parking spots is not merely a matter of convenience for drivers, but a necessity for cars when they start doing the looking themselves. Automating the process of finding, navigating to and paying for parking is an essential element in the creation of a fully autonomous vehicle. Mr. Ziglar of Parkmobile said he could envision a time when his company’s technology not only paid for and parked a car by itself, but also serviced, cleaned and charged the vehicle, automatically. “We’re setting up the infrastructure now to make this happen,” Mr. Ziglar said.